It’s probably not an exaggeration to say that the Astro A38 is the ultimate bluetooth headset for the person on the move. Astro Gaming has more or less set the standard for gaming headsets, with its A40 series formerly adopted as the official headset of Major League Gaming last year, and the more recent A50’s delivering top-notch performance. The A38 brings the heat just like its cousins do in both quality and cool factor, with the focus being on commuters and mobile gamers instead of console players. If you’re ready to stop accidentally latching onto every protruding object on the public transit vehicle, you just might have found what you’ve been looking for. Right out of the box, something becomes immediately obvious: these bad boys are well-designed. From the incredibly premium feel of the rubberized plastic finish in your hand, to the super-comfortable fit of the headset on your head, this product was no doubt made with love. The earpieces have lots of extra padding to them. Lots. You won’t get that “pressed together” feel on your ears that lesser headsets give you. 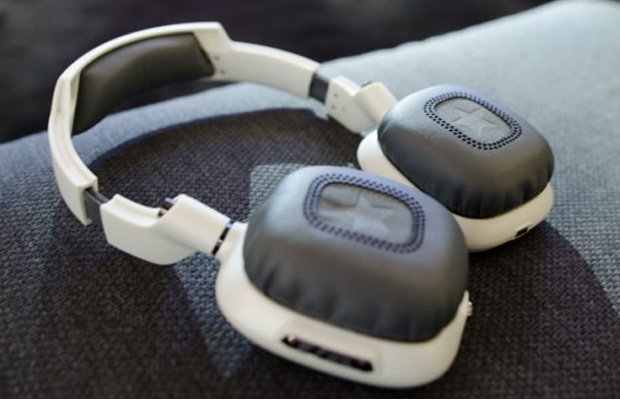 The sculptured shape of the headset means it’ll sit on your head and stay there, even if you are moving around a lot. Seriously, they are so comfortable, and you get used to them so fast, you won’t just forget you have them on, you may actually find them hard to take off. Typically, Bluetooth headphones are infamous for having fairly bad or even terrible sound quality, which basically nullifies the convenience of the wireless feature. Not so with the A38’s. The sound is incredible and well-mixed. You won’t find the unbalance that most gaming headsets tend to work with, where the bass is given more emphasis. 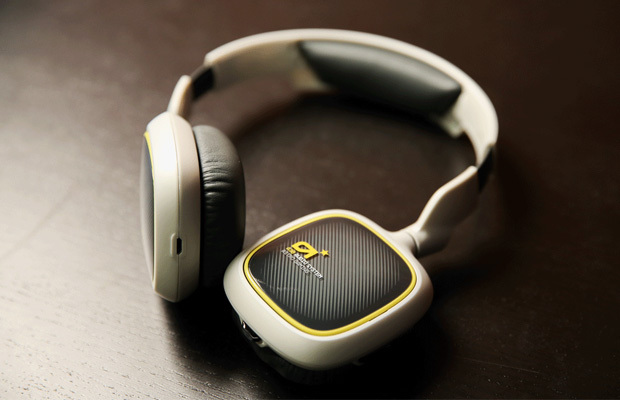 The A38’s also benefit from an active noise-canceling feature, which works well. All of this adds up to an immersive experience with the headphones on, whether you are beating high scores on your phone apps or watching an action movie on the laptop. You won’t remember what it was like enjoying those activities before you owned these. A bluetooth headset that sounds this fantastic and fits like a glove (a glove for your ears? Yes indeed) is really a thing of beauty. The A38’s are also competently designed to be just plain functional. They work with all compatible bluetooth devices, and it’s a snap to connect them to your devices. The volume controls, power and mute buttons have a pleasing, smooth metallic feel to them, and are well placed on the headset for ease of use. For those with phone calls to answer, the multi-function button leaves you one press away from communication with friends, family, and pesky office managers. That same button pauses and plays songs on your playlist, and can also restart a song or skip to the next one. There are just the right amount of buttons so that you don’t get lost and accidentally press something you didn’t mean to. The simple things really do matter. The battery life department is solid, with over fifteen hours of phone call power, and around twenty when listening to music. Plus it only takes two hours to fully charge. Astro provided a micro USB charging cable that fits snugly alongside the headsets inside of the sturdy traveling case provided. The case is a bit on the bulky side, but fits perfectly into a commuter’s backpack or messenger bag. A very cool personalization feature on the A38’s is the included interchangeable magnetic tags located on the outside of each earpiece. You can choose from a variety of magnets featuring characters and art from some of gaming’s most favored series, including Assassin’s Creed IV, Watch Dogs, and Plants vs. Zombies. Or, you can let out your inner artist, uploading your very own designs to Astro Gamings website, where they will create and send you one-of-a-kind tags featuring your art. Both stock and custom options are highly affordable, with a price range that falls between $20 and $25. The price tag or overall bulk might give you second thoughts. A technophile may not think twice about these things, but don’t allow yourself to skip over the experience of these quality headsets just because you don’t consider yourself in that category of consumer. It goes without saying that, at the end of the day, you get what you pay for, and for 230 smacks, yo’re paying for absolute top-of-the-line audio quality. One truly unavoidable problem with the headphones though is call quality. The microphone works, but the person you are talking to will sound distant and not quite clear, almost as if they have you on speakerphone. They seem to be able to hear you just fine, however. It’s not the worst experience, but not what you’d expect from such a high quality product, especially one that delivers in so many other ways. Another drawback is the fact that the A38 can’t connect to any gaming console other than the PS Vita and your smartphone. No Xbox, no Playstation. Grab an A50 headset if you’re looking for that type of product, because the A38 is created specifically for commuters and mobile users. It’s up to you if that is truly a bad thing or not. 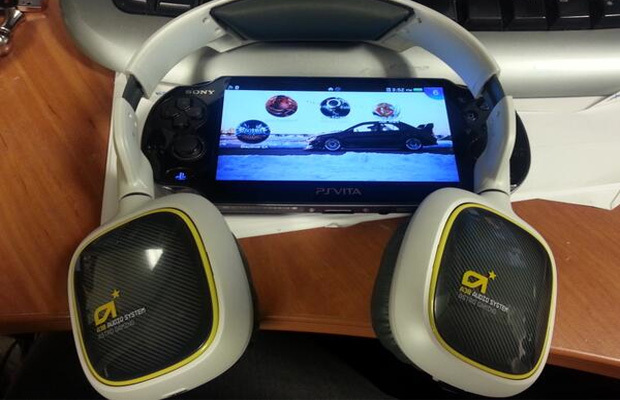 If you’re an avid gamer who wants a high-end console headset, don’t worry about getting a pair of these. For basically anyone else, this headset will not let you down. Commuters and mobile gamers especially should take notice. If it’s too expensive, consider making it a Christmas request. Boom.